I always seem to have a few books on the go. They are mostly books on psychotherapy/counselling/philosophy and looking at the pile beside the bed, my current selection is in keeping with my norm. 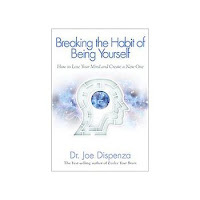 The current favourite (that is, the one I am most excited about) is Joe Dispenza's latest offering "Breaking the Habit of Being Yourself - How to Lose Your Mind and Create a New One". I find the title slightly harsh, but I appreciate his sentiment. I very much enjoyed his previous book "Evolve Your Brain" and did a presentation pretty much based on his work. He draws from neuroscience, biochemistry and quantum physics to describe how our minds work and the influence we can have on making our minds work for us, rather than falling back on ancient, hardwired "survival"strategies to get by in life. Fascinating stuff. This book seems to be a more user friendly version of the first book and has much more about meditation and mindfulness as a way of braintraining, describing the neuroscience behind why what he is saying actually works. I have only just started it and will blog a review on it when I am done. There is also a copy of The Way of Zen by the British philosopher Alan Watts - given to me by my friend Robin who is a huge fan of Watts. It is a marvellous book, in that, so far, it seems to be able to communicate some of the trickier concepts of Zen Buddhism and Eastern thought, or at least, I think it does. It is tricky to read as it challenges the Western perceptions which are part of my psyche via nature and nurture. I need peace and quiet and a lot of focus to finish this one. There's always a text book in there. The current text - and the book which I am getting through at a greater rate than the others, is "Skills in Existential Counselling and Psychotherapy" by Emmy Van Deurzen and Martin Adams. This was recommended to me by my therapist, who has a similar approach to me in counselling, i.e. person-centred with existential traits. It is a very straightforward description of what it means to practice therapy with an existential approach. It makes perfect sense to me, but maybe that's because it speaks to me in my language. I highly recommend it for trainee counsellors, particularly if the training involves a module on existential therapy. Lined up for me, ready to read after finishing Skills in Existential Counselling, is Yalom's weighty tome "Existential Therapy" which, apparently, is a great read for anybody interested in human existence. I am looking forward to reading this and Yalom is without doubt one of my favourite authors. 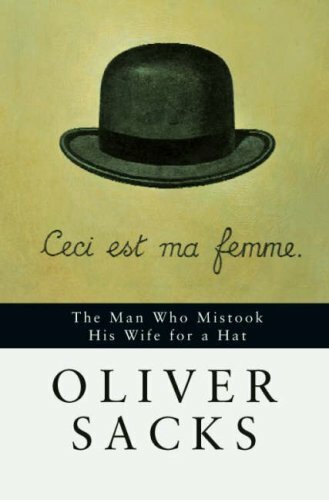 He writes both fiction and non-fiction exquisitely. Finally, a little bit of fiction. I have a book of short stories which I have had for some time, but took a break from. I am ready to dip back into it (it is a huge book of short stories). 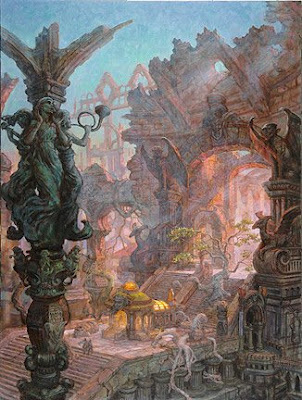 It is called "Songs of the Dying Earth" and is a collection of stories written by various authors in honour of sci-fi author Jack Vance. His specialised genre was called "Dying Earth" which is about the future of humanity, when the sun is dying. Very existential. I also managed to acquire a copy with the beautiful illustrated jacket. I have always been fascinated with the concept of the end of the world since reading, when I was about 10, that the sun was going to expand and fry the Earth in 100 billion years, then retreat and leave the Earth cold, lifeless and desolate (I think that science has changed it's mind slightly on this one). The sci-fi sub-genre of Dying Earth was introduced by H G Wells in his novel "The Time Machine" where the time traveller goes forward in time to find the earth virtually inhabitable. This was left out of the original print as it was deemed too scary for the general public. I must admit that I find the concept extremely haunting and it stirs a little anxiety in me. It also makes me appreciate what I've got what right now, while I've got it.